Willow, weaving and watching the flowers grow. 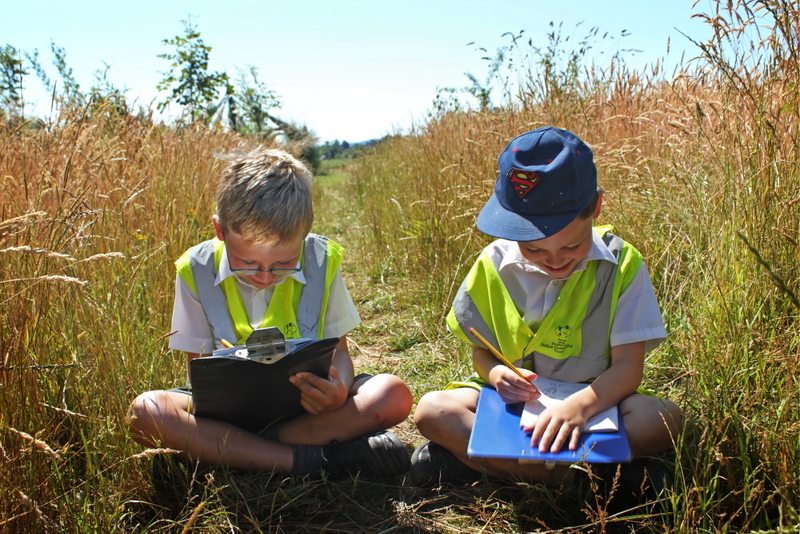 Under the inspirational shadow of the Willow Cathedral at Longrun Meadow the children settled down to carefully observe their chosen plants and pollinators. 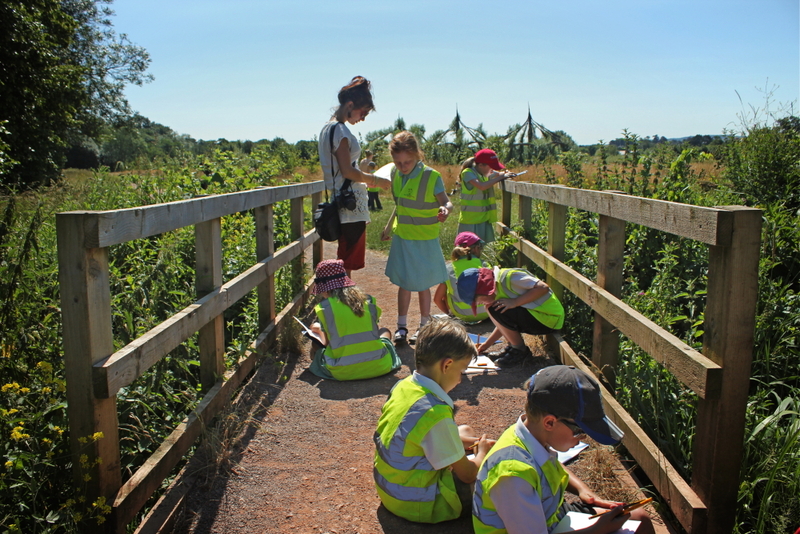 The site visits to local cultivated areas were very important research, so the children could learn about the role that pollinators play as well as observe the shapes and colours for their sculptures. 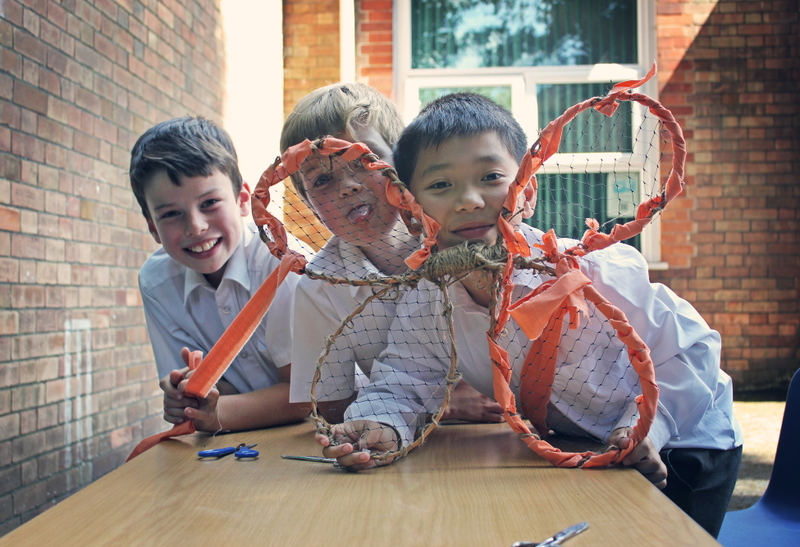 At school, working in groups of three the children began by bending willow to make the framework of their plant or insect. 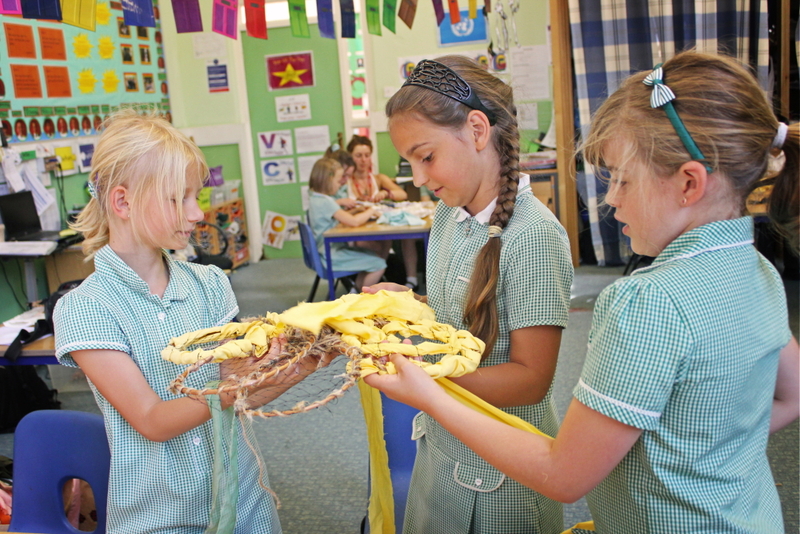 Once the shape was tied in place with string they moved on to the next stage. They carefully inserted garden netting into the hollow frame. This required careful measuring and a degree of manual dexterity to keep in it all in place using sticky tape and string. Then coloured strips from re-claimed fabrics were used to weave the bodies, being careful to match the colours correctly, so that each sculpture looks realistic. Finally, you have a beautiful finished object ready to be part of the Abundance Pop Up Meadow. 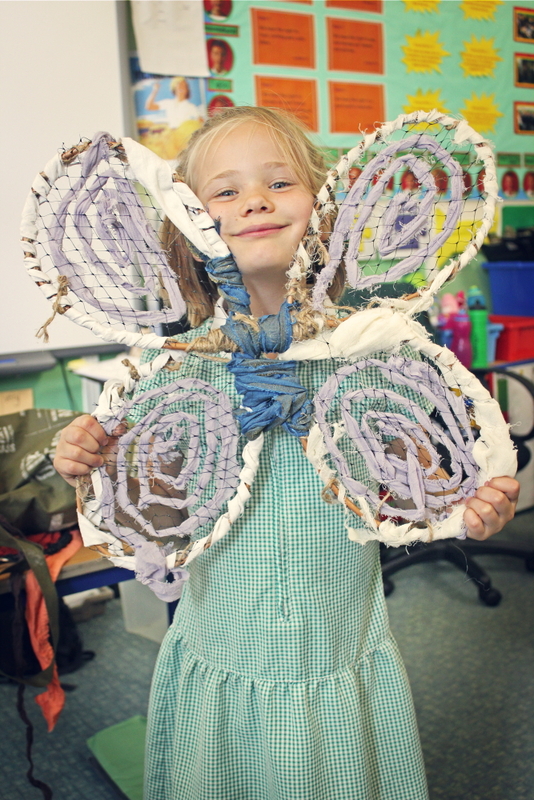 In all approximately 40 pieces will have been made by around 140 Taunton primary school children. 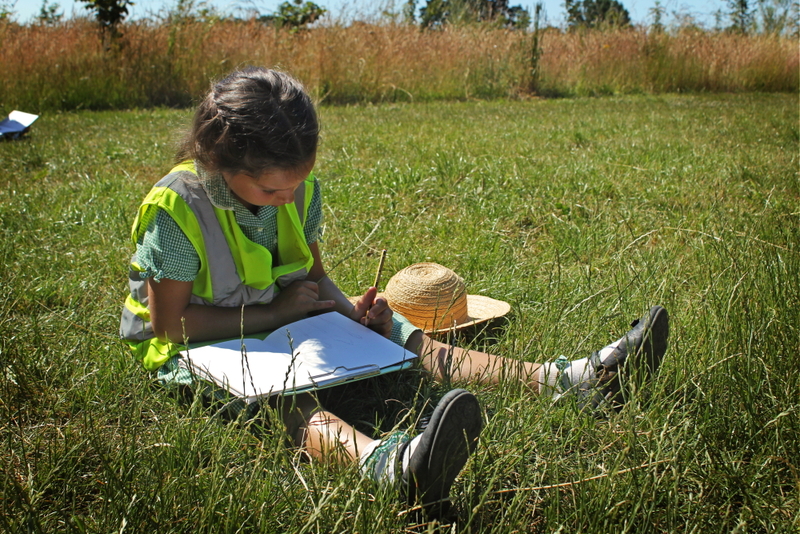 The Pop Up Meadow will be visiting Lyngford Park Craft Day on 6th August 11am-3pm, French Weir Fun Day 11th August 12 noon- 4pm Priorswood Allotments 18th August (2-5.30pm £4 entry, child free) as part of the National Gardens Scheme, Somerset Square Taunton (by the Brewhouse) 24th August and Longrun Meadow Fun Day 8th September times to be announced. Plus, during Somerset Art Weeks, details coming soon. 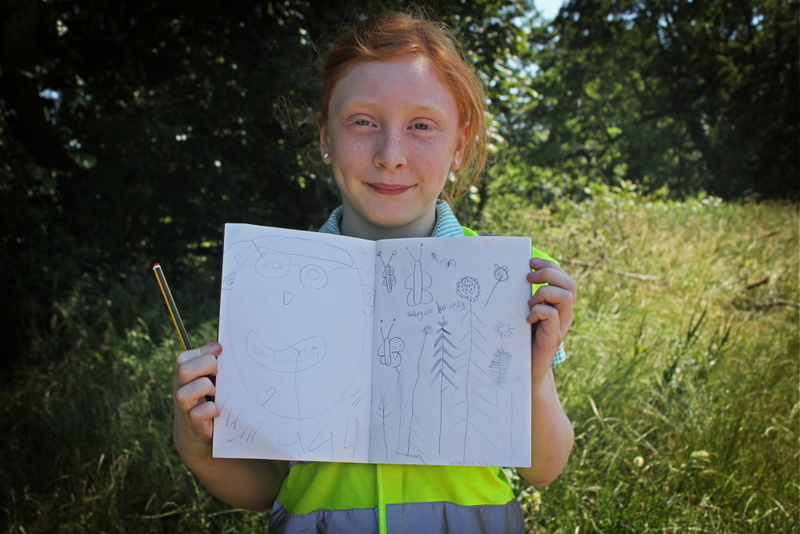 Photographs by Nisha Haq featuring pupils from North Town Primary School.